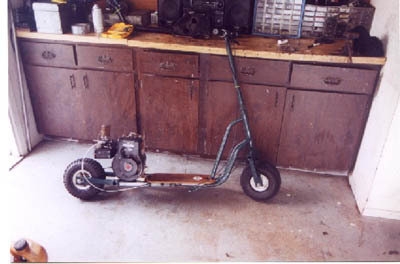 My scooter has minibike tires, and a 2hp engine of of a edger. The frame is all custom welded. Its top speed is 30 mph. It also has a centrifical clutch and a twist grip throttle.